Dicky Cheung’s (張衛健) comeback TVB drama The Learning Curve of a Warlord <大帥哥> has finished its broadcast run as the king of ratings in 2018. The period comedy, which is Dicky’s first TVB drama in 22 years, premiered on December 3, 2018 to high anticipation, and finished its first week with a rating of 27.5 points—reaching 1.78 million people. The final episode, which aired on January 11, 2019, rounded with 35.7 points, with the final 30 minutes hitting a peak of 42 points (2.77 million viewers). It is the highest-rated episode in all of 2018. 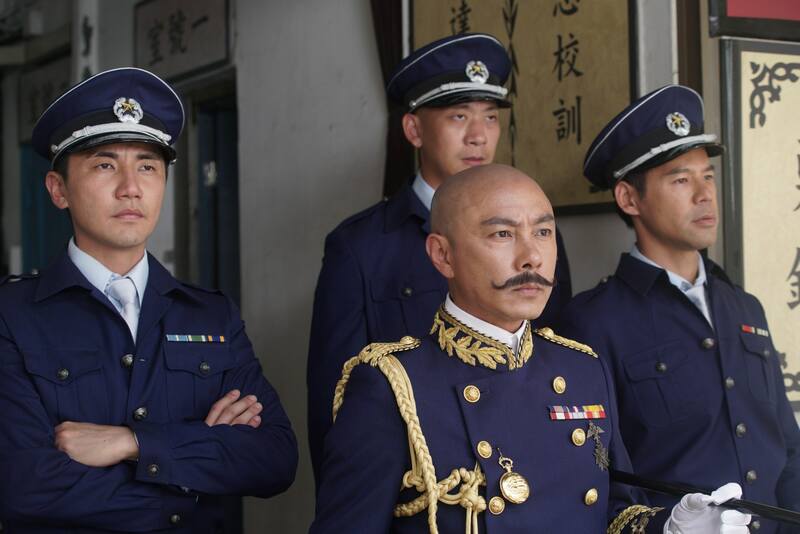 “The Learning Curve of a Warlord” is Dicky Cheung’s first TVB drama in 22 years. The Learning Curve of a Warlord ultimately finished its broadcast with an average rating of 27.7 points, putting it as the fifth highest-rated television drama of 2018. Meanwhile, the sitcom Come Home Love: Lo and Behold <愛·回家之開心速遞> averaged a steady 26.6 points in the week of January 7th to January 13th, reaching 1.72 million viewers. Guardian Angel <守護神之保險調查> starring Michael Miu (苗僑偉), Bosco Wong (黃宗澤), and Annie Liu (劉心悠) averaged 25.4 points, reaching 1.64 million viewers. On the other hand, Sunday drama Wife Interrupted <救妻同學會>, which aired its final episode on January 13th, averaged only 13.9 points, with less than a million viewers. Since TVB’s inception of Sunday dramas starting with 2014’s Shades of Life <我們的天空>, Wife Interrupted has become the second-lowest rated, ahead of only The Great Adventurer Wesley <冒險王衛斯理>. It’s been said that Wife Interrupted’s confusing and convoluted storyline may have contributed to viewers’ lack of interest on the show. Wife Interrupted also features relatively unknown actors, despite having Hubert Wu (胡鴻鈞) and Moon Lau (劉佩玥) as the leads. In related news, the 2018 J.S.G. Awards Presentation, which was held on January 12th, averaged 14.9 points, a jump from last year’s 12.8 points. If the numbers are accurately reported, then it sounds like its time to recruit some quality actors to return along with the good screen writers that they let go of. I am so disappointed in Sisley’s acting because I’ve always liked her. For some reason, her acting just couldn’t pass for me in this period drama. Her acting was very stiff, especially in the beginning. Most times, she seemed so stagnant with her hands in her pocket just staring ahead while others were reciting their dialogue. And her costumes were TERRIBLE! Why did she have to wear such manly western clothing? Like I get that she’s portraying a strong-headed independent individual, but could’ve definitely picked something more feminine. The clothes were one of the main reasons why I was turned off by her role. Not to mention, her thin, tall stature doesn’t match with Dicky. Zoie was the best of the three wives, and even Vivien was more bearable to watch.